Change the way you grate with KitchenAid's Gourmet Box Grater, Stainless steel grating surfaces and a soft-grip handle make shredding easy. A storage container that attaches to the bottom to catch shredded cheeses and veggies as you go adds convenience. Ideal for grating or slicing foodsBox grater, includes fine, medium, coarse and slicing surfacesSoft foot for stabilityMade with premium materialsDishwasher safeKitchenAid Kitchen Essentials? : KitchenAid has everything you need to whip up your favorite sweet or savory recipes while using your KitchenAid Stand Mixer, Blender or Food Processor. With a complete line of tools and gadgets, KitchenAid will make the most beginner baker feel like a professional. 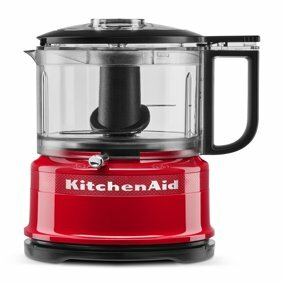 Available in KitchenAid's most popular colors, expertly measure your favorite ingredients then mix and whisk in a durable mixing bowl with an easy pour spout.One Year Hassle-Free Replacement and Lifetime Limited Warranty:KitchenAid products are warranted to be free from defects in material and workmanship. For one year from date of purchase, under normal use and care, KitchenAid will replace this product free of charge, if it is found to be defective in material or workmanship. In addition, from year two through the life of this product, any product found to be defective under conditions of normal use and care will be repaired at no charge or replaced with the same item or an item of equal or better value. See packaging for more information.Kitchen Aid Dishwasher Safe Gourmet Box Grater, Black : KES292OSOBW Change the way you grate with KitchenAid's Gourmet Box Grater, Stainless steel grating surfaces and a soft-grip handle make shredding easy. A storage container that attaches to the bottom to catch shredded cheeses and veggies as you go adds convenience. This box grater is super lightweight and durable! Easily to clean, gets the job done, with a solid grip handle that keeps my hand steady while grating. I absolutely love this new kitchen utensil, great addition to my toolkit and great bang for buck!